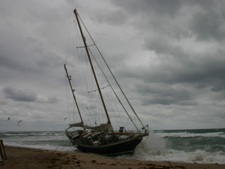 The call came into our dispatch center late that October evening around 2030 of a 51' sailing vessel aground on a public beach. 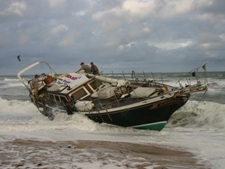 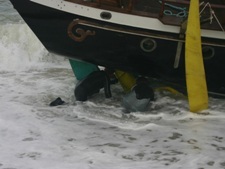 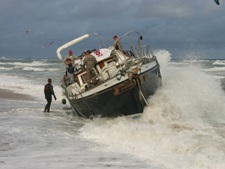 The USCG immediately tended to passengers but weather conditions made it impossible to safely salvage the vessel at that time. 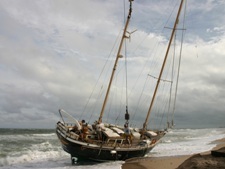 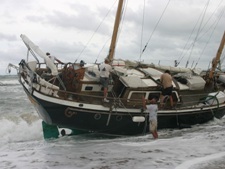 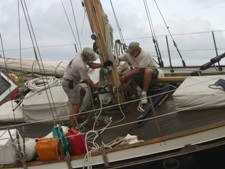 The following morning as the salvage operation began the winds were blowing NE 20-25 knots and the seas were 5'-7'. 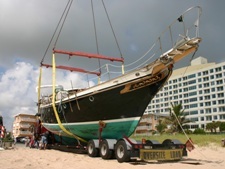 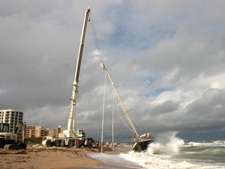 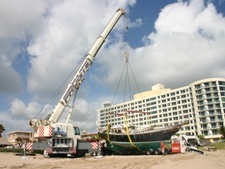 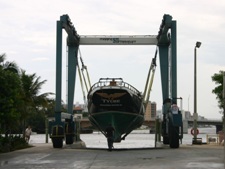 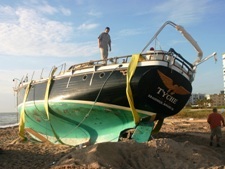 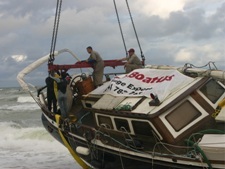 The salvage required the use of a 165 ton all terrain crane. 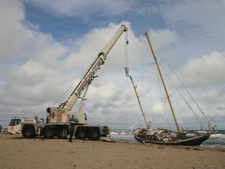 The salvage team assembled a make shift plywood runway was made in the sand to allow a crane access from the road to the salvage site for extraction. 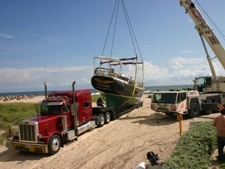 Several make shift sand cradles & berms were designed using a bobcat and excavator to temporarily hold the casualty while preparing it for haul out on a trailer.